“I have designed 5 different nail liquids for you to choose from. 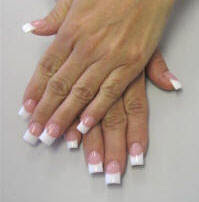 Each Nail Technician has different needs while doing acrylic nails. Some like a fast setting liquid; some like a slower setting liquid; some like a non-yellowing liquid and some like extra adhesion. The Tammy Taylor “Original” Nail Liquid is designed to do fast nails year round with no crystallizing in the winter. Can be used with all of the Tammy Taylor Nail Powders, including Prizma. Tremendous strength to eliminate cracking & breaking. The Tammy Taylor “A+” Nail Liquid is designed to keep your “white’s whiter” and your “pinks brighter”. Can be used with all of the Tammy Taylor Nail Powders. 90% less yellowing than other nail liquids on the market. Extra UVA and UVB inhibitors to prevent whites from yellowing and pinks from fading. The Tammy Taylor “Xtra-Adhesion” Nail Liquid was designed especially for clients with special acrylic nail needs. Some clients have fingernails that are difficult for acrylic to adhere to and need an extra boost in the nail liquid to help adhesion and eliminate lifting. Use 2-3 coats of Tammy Taylor Nail Primer and Xtra-Adhesion Nail Liquid for all clients who have lifting problems. Some clients are very sensitive and the Xtra-Adhesion Nail Liquid can also be used without primer for these clients. Can be used with all Tammy Taylor Nail Powders, including Prizma. Tremendous strength to eliminate cracking and breaking. 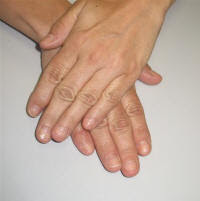 Created for clients with lifting problems and clients who have sensitive fingernails. The Tammy Taylor “(S-Set)” Nail Liquid (aka) Summer Nail Liquid is a slower setting nail liquid, designed originally for summertime or hot weather, but also works great year round. That is why it will be re-named (S-Set) Slower Setting Nail Liquid instead of Summer; so there will be no confusion for those who want a slower setting nail liquid in all types of weather. Can be used with all of the Tammy Taylor Nail Powders including Prizma. Tammy Taylor “Odor-less” Nail Liquid was designed especially for State Board examinations and Nail Schools that cannot have any odor. This liquid can be used with Tammy Taylor Prizma Powders, Tammy Taylor Original Nail Powders and Tammy Taylor Odor-less Nail Powders. Do not use with Tammy Taylor (S-Set) Nail Powder (aka) Summer Nail Powder. Are you or anyone you know a Nail Biter? I was also a nail biter until I put on my first set of Sculptured Nails applied with Nail Forms not Plastic Nail tips. Nail Biters do not do well with plastic tips glued on and then acrylic applied over them, because they are too easy to chew off. A Full Set of Sculptured Nails applied with Nail Forms are too difficult to CHEW OFF because they are very strong. Also you do not want to CHEW them off because they are so Beautiful. I have found that most Nail Biters are Perfectionists and when there nails are Beautiful they do not Chew on them. I am the perfect example, I have not Chewed my nails for 27 years. I want to show you how you can cure Nail Biting forever. Watch this video on how to do Beautiful Sculptured Nails applied with Nail Forms not Plastic Nail tips and then e-mail me for a Tammy Taylor Nail Technician near you. Tammy's class at the WLD (Women Leadership Development) “The Power Within” conference. 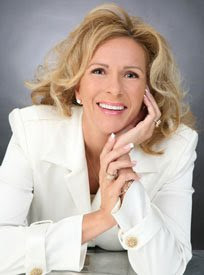 Tammy Taylor is invited to give a Business Management Class for over 100 UPS Managers at their WLD (Women Leadership Development), titled “The Power Within” Conference, in Southern California. Tammy sat on the panel with Teri McClure, Sr. VP General Counsel with UPS Worldwide. It was an open forum. The UPS Managers asked Tammy and Teri questions for almost 2 hours, and did not want to leave; they were having so much fun learning from these 2 remarkable women. The WLD focuses on motivating, mentoring and building up UPS employees, targeting women who are in management, to further their careers or to encourage their women employees to move into management. WLD (Women Leadership Development): “The Power Within” conference. Here are 3 short video clips you will enjoy tremendously. Tammy is so honest and fun; her common sense approach and sometimes comical answers, has everyone laughing and learning at the same time. Video #1 - Tammy answers the question: What attracted her to pursue her career in the Nail Business? Video #2 - Tammy answers the question: What are your biggest challenges you deal with every day? Video #3 - Tammy leaves everyone with her famous closing statement! In order for you to run a successful Nail business, whether it is your own Salon or you own Clientele; you need to know what makes you money, and what does not make you money. If you continue to do things that are not profitable, you could start struggling in your business. You must analyze every single thing you do that pertains to your business (If you want to make a profit). #1 Do you know exactly to the penny, how much money you made last Wednesday? #2 Do you make at least $15.00 every 30 minutes on every single Service, or extras that you offer? Example: Nail art? Gels? Wraps? Pedicures? Manicures? Acrylics? #3 Do you know the Name, Cell phone #, Address and E-mail, on every single New Client; that you have done in the last 90 days? #4 Do you know the Cell phone #, Address, E-mail and Birthday of every single Client; you have done in the last 30 days? #5 Do you do at least 30 Clients a week? If you answered Maybe or No, to any of the above Questions, we need to make some changes quickly, starting today! All of these need to be answered 100% YES, or you could start having some business struggles. Making a profit is not difficult if you concentrate on one problem at a time. Question #1: Keeping track of your money. 1. Get a zipper money bag: you can use a zipper cosmetic bag (not see-through). 2. Put every single penny you receive in the bag. 3. If you take out even one penny, put in a little slip of paper how much you took. 4. At the end of the day, preferably alone, count your money and put the amount on a small personal calendar. Do this Every Single Day, no matter what! Question #2: Keeping your services profitable. Keep a small note pad next to you in your drawer and write down every single thing you do on every single Client, and how much you charged. Question #3 and #4: Keeping track of your clients. Go to the store and buy an Address book, and every single Client that sits down at your table, before you even start your service, Write Down their: Full name; Cell #; E-mail address and Birthday. Then write all your birthdays down in the back of your book, by Month and Day. Make sure you mail a Birthday card to everyone on that list, 1 week before their Birthday, even if you have not seen them in 3 months. This is the cheapest easiest advertisement and good will you could invest in. Question #5: Getting more clients. GO TO "Nail FAQS by Topic" and print out every article with a $ sign next to it and WATCH your “How to Survive the Nail Business in the New Millennium” video. Now you are on your way to increasing your profit and keeping your business strong.